In April, Greater Toronto Area Realtors reported a total of 11,303 sales. 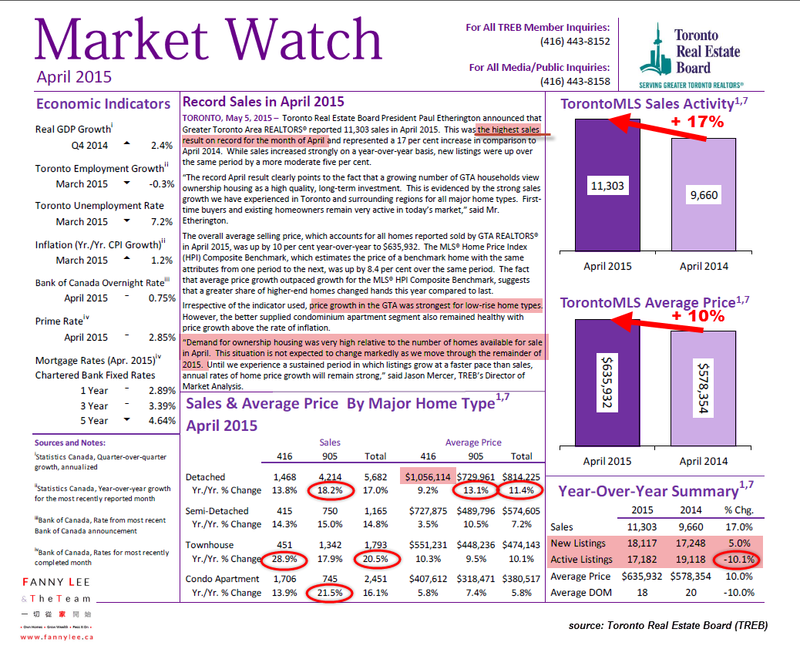 marking THE HIGHEST SALES RESULT APRIL on Toronto Real Estate Board (TREB)'s record. 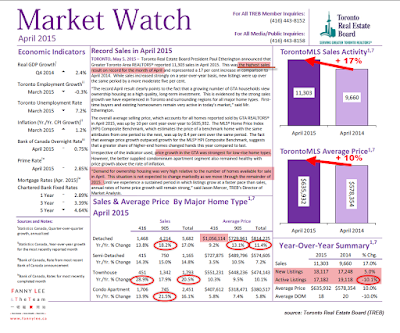 We marked up the key points on April's Market Watch summary. • The particularly active markets are: Townhomes in both 416 & 905 areas, Detached and Condos in 905 Area. • 416 Area Detached sold for an average of $1,056,114. • New listings modestly increased by 5%. However, actively listings are still 10% less than last April.